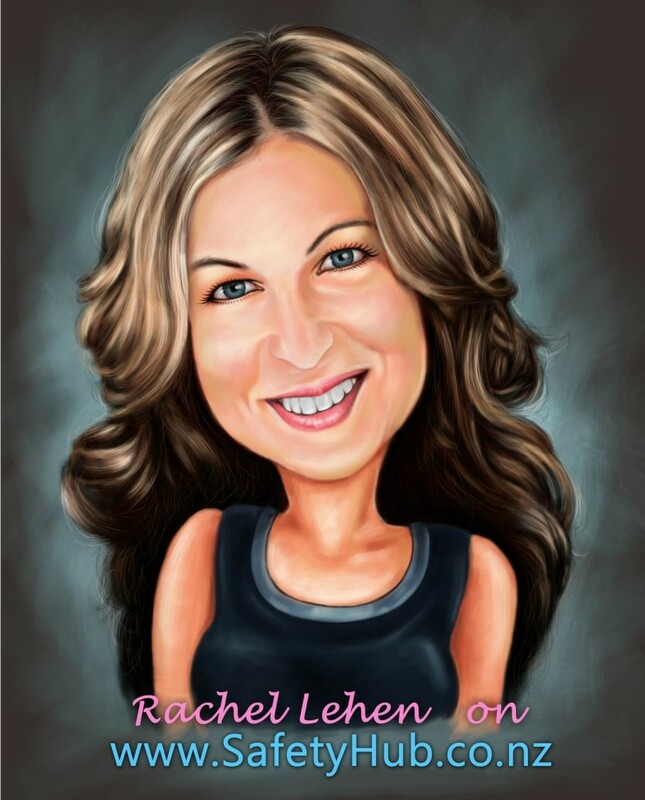 0:25 Who is Rachel Lehen? 0:58 Why do businesses need to worry about fatigue? 2:20 What is fatigue? Is it the same as sleepiness or stress? 8:45 How do you design the perfect roster? Tony: Hi Listeners. Today I have Rachel Lehen on the show talking about fatigue in the workplace. I met Rachel years ago and when I was thinking about Fatigue in the workplace I immediately thought of Rachel because she is really passionate about health and wellness and very focused on fatigue and she understands business. So Rachel is a perfect fit to offer great advice in this area. So Rachel, how are you doing? Rachel: Hi Tony, I’m good thanks, how are you? Tony: All Good! Why do businesses need to worry about Fatigue? Rachel: There are a couple of different angles you can approach when you are looking at fatigue as a risk in the workplace. In the first instance, under the Health and Safety Act fatigue has been identified as a risk that companies need to mitigate. As far as their obligations are concerned it makes sense that they have a sold policy and procedures that everybody can follow to better mitigate that risk. This is from a business point of view but what we are really more concerned about is the fact that when you have tired staff , you have an increased risk of accidents and incidents. We know that when people are tired the rate of absenteeism goes up or what they call presenteeism, which basically means they are physically there but really their productivity is low. So it makes sense to mitigate this and introduce some strategies so that we can have a higher level of performance and safety out of our staff. Tony: Ok. You mentioned a level of tired there and I know this is a common thought. Can you explain the difference between being tired and fatigue? Are they the same thing? Tony: There’s nothing worse is there! Rachel: Exactly and you start watching the clock and wake up every half an hour going I need to get up! So this really affects your ability to get good sleep so fatigue is more than just being sleepy and this is where the real risk is in regards to employee safety. Tony: I’m trying to think from a listener’s point of view here and they may be thinking what do I need to do about managing fatigue in my workplace. Rachel: The first thing is for an employer to understand how fatigue is actually affecting their business. Maybe they haven’t already had an opportunity to look into it or start measuring it and including it in any sort of incident reports. Fatigue is often under-recognised so really the first thing a business needs to do is start to create some awareness around it and then start to measure it. So put in measures to identify what fatigue may be costing their business. For example if someone falls asleep at the wheel and crashes their truck we want to be able to attribute what does that cost back to the business and what does it cost. So once we measures what is costing the business we can continually measure and monitor and work out what is working. A lot of times the fatigue is not even recognized as the underlying cause of an accident and blame inattention or environmental factors but it is all about human factors and how humans beings when tired make poor choices and that can lead to higher levels of distraction and inattention. Tony: You and I met when I was in the Air Force and were looking at fatigue and were looking at the US Air Force and they had some modeling software to help plan operations or flights but I found it difficult to explain how fatigue can really affect your output and a really good model that you can probably add to, was that if someone woke up at 8am and worked until 2am in the morning, they were operating at the equivalent of driving while being illegally drunk. Is that right? Rachel: Yes, that’s absolutely right and that if you have been awake for 17 hours you have an impairment level of a blood alcohol level of .08 and if you have ever been so tired that you do feel drunk you’ll find you start bumping into things, tripping over things or can’t speak clearly just from being really tired so it has the same level of impairment on the CNS and its such a big a problem as compared to sending guys out to work having just been to the pub for a few drinks. Tony: Now the thing is people wont start at 8 in the morning and work until 2 in the morning, I know some will, will still be affected by shift cycles and so on. Rachel: Yes, we have a thing called the circadian rhythm which as human beings is just how we operate so we have periods of the day where we are more alert than other times and essentially we should be awake during the daytime and asleep during the night time and this is how it has been since day dot really and our body stays in tune with the rise and fall of the sun. So, when we are working when we should be sleeping than we have a whole other ball game as our body is working against how we should be operations. Tony: Ye, but the fact is people are going to have to work against those dips so for someone designing a roster, what should they be doing? Rachel: Well yes, the thing is there is no perfect roster and if I could invent the perfect roster I would make a lot of money and this is where it comes to the individual being educated and aware of how their body feels given the work they are doing. In an ideal world we should not have someone working at nighttime but that’s not the reality of it so we need to monitor and determine what fatigue looks like in your business. There is software and predictive levels of fatigue so you can out in a schedule form 8a-2am or whatever and the algorithm and predict levels of fatigue based upon prior sleep but these programs do not take into account is that we are all human beings and my ability to cope with shiftwork is different from you individual dispositions and also how hydrated are we, are you getting good food, exercising, are they on mediation what else is going on with them. That’s why a company can’t just get a piece of software which creates a roster you also have to empower the individual to take better responsibility for managing themselves through the shift. And my belief it is in the employer’s best interest to provide the information and awareness because at the end of the day its going to be their staff that will perform better because they understand how their body is performing. Tony: Great, I really like that predictive type of approach to working out your alertness level than your fatigue level. It’s probably the saying the same thing but this thinking is for forecasting and allows you to make a change today to influence how you could be feeling and the risk that you are posing to the business in the future. And it’s really important the company policy wrapped around this too isn’t it? Rachel: Yes, and it’s really important for the person looking after the schedule or roster design is aware of fatigue and the affects on the body as well. It has to come form the top and everybody needs to be engaged in the process and it’s really easy to sit in the office and say we need we need to work this schedule because we need to get from A to B in this period of time and I understand that, but it’s best that the person creating the model is aware of the impact on their staff. Tony: I have my own experience because I designed a 24/7, 365 days per year roster, and originally there were 2 people assigned to work this roster and I argued we needed more! But that was when I was in the Military and we had different cultures. We had the Air Force culture, Navy and Army culture and at any one time one of us was working the 5-person roster. My background was as a pilot and they way we managed fatigue while flying was you were allowed to go and have a sleep. People probably don’t want to hear that but it was a technique to be alert because people want people to be alert when they need to be alert. So while working on this roster I would say to my peers I am going to be sleeping at night and I would bring in my roll-bag and sleeping bag. But for the guys from the Army in particular that was, form their cultural mindset, because from their mindset, I was sleeping at my post. And I understand why they thought that but it was a really different cultural mindset around working this roster. I could never convince them and they could never convince me so I would nap during the night and I would be relatively fresh in the morning and they would be falling asleep at 8 in the morning, but they stayed awake! Rachel: The thing about being fatigued is that they may have gone ‘I’m awake’ but their brains are taking micro-sleeps so their eyes could be open, you can look like you are awake but you are actually asleep and that’s where the risk comes in. So if you were at war, lets day, and you have all these guys having these micro sleeps and then suddenly they need to be alert and make great decisions, they are absolutely not able to. And they will put other people at risk as a result of not being able to make good decisions. Power napping is one of the key strategies for mitigating the risk of fatigue. There is no other way other than getting sleep to reduce your sleep debt. Lots of people will look at using other things like stimulants, caffeine and drugs and all of those things. Even those campaigns on the road over long weekends and how to stay alert and the driver-reviver stops are great, as they raise awareness, however they don’t provide an opportunity for people to have a quite space. They say have a coffee, walk around your car have a hot-dog, whatever that’s actually only delaying the affects of fatigue by about 20 minutes but the best thing you can do is take the power naps. I work with a number of companies who have power napping as part of their procedure. One company in particular allow their truck divers to take a power nap whenever they need it and the only criteria is that they alert their manager that they have pulled off the road into a safe place. They know how to power nap – they get into the passenger seat, take the keys out of the ignition and they time it. That is they key – to have it for no more than 20 minutes. So these guys are educated on how to power nap and it is making a significant difference to their business. Another business I worked with, prior to integrating this strategy, was having 5 human related errors every night. Nothing blew up, nothing too outrageous but enough to have an affect. So we set up napping stations and a napping log about how they felt prior to and after the nap and they went from 5 errors to zero errors. This was over a night shift and some would even have a 90 minute nap, which is a full sleep cycle, and as long as it is managed, and it’s not somebody sneaking off, which is a risk in itself, but if it is a managed nap then this is a key strategy I can recommend. Tony: So all of a sudden we have a business benefit because you are more effective if you are not making errors because one day that error could cost a lot of money or hurt somebody and who knows where it could go. Rachel: Absolutely, if you look at some of the large global disasters like the Exon Valdez or the Challenger or other catastrophic incidences that are related back to fatigue and people making bad decisions. Tony: So what I’ve got then is education is key and it really needs to start at the top end within a business and they need to be convinced the business benefit. Not only in terms of financial but risk to people and their resource and why they need to manage fatigue. And then the culture and I gave the example around the Army culture, and I understand why that culture exists, which comes back to education as well. If they can be convinced and told why you need to manage fatigue, and maybe there will be an Eureka moment. Rachel: hey Winston Churchill won the war and he power napped. In fact, he would sometimes go to meetings in his pajamas. Tony: [laugh] So we are advocating pajama management? Rachel: Some of the greatest people of their time used to power nap. It is not a long-term strategy but for a short-term technique it is fantastic. Tony: I really like the idea of a bank in which you take out a loan. And in this case if you are not getting enough sleep, you owe it back and if you don’t pay it back you will pay it back in another way. Rachel: That’s a great analogy. Tony: OK, is there anything else you wanted to mention or put another way, what were you hoping I would not ask about fatigue? Rachel: [laugh] Well, I’ll tell you something interesting we’re discovered over the last few years of talking to people in our workshops. One of the biggest things identified is sleep disorder called Obstructive Sleep Apnea(OSA). As we have been going around, particularly with the demographic we have been talking too, these particular people have more of a sedentary job with long irregular hours with a reduced ability to exercise and eat well, these poor guys have a higher risk of having this condition. This is supported by international research in this field. So one of the things we’re passionate about is creating some awareness in this area. We know in the commercial transport sector that at least 25% and probably closer to 40% of this market have Obstructive Sleep Apnea. When you have OSA is mean your daytime sleepiness is elevated and that is where we start seeing all these traffic accidents. People having micro sleeps at the wheel and having head on collisions is quite typically what would happen. We think that OSA is something that people really need to pay attention to. That is a key strategy that someone can implement into his or her annual health checks. It is no different then checking for blood pressure, cholesterol, cardiovascular, diabetes and all these other things, we need to start looking at sleep disorders as well. Tony: There is a lot there and if people want to get hold of you to get more advice on managing fatigue, how do they go about doing that? Tony: Thanks Rachel for coming in. Rachel: Thanks Tony for having me!